Board of Directors | Jewish Federation of the Bluegrass, Inc.
Jewish Federation of the Bluegrass' Board members are volunteers who commit to 3-year terms, regular monthly meetings, and many special projects. They assist with maintaining our budgets, setting goals for the organization, and serving as representatives of Jewish organizations throughout our community. Our Board members also serve on Federation committees, assist at events, and volunteer in many capacities throughout our local Jewish community. Jewish Federation of the Bluegrass proudly acknowledges our 2018-2019 Board of Directors for its services to Federation and our wider community. We thank the following Past Presidents of the Board for their support of Jewish Lexington through dedicated service to Jewish Federation of the Bluegrass. 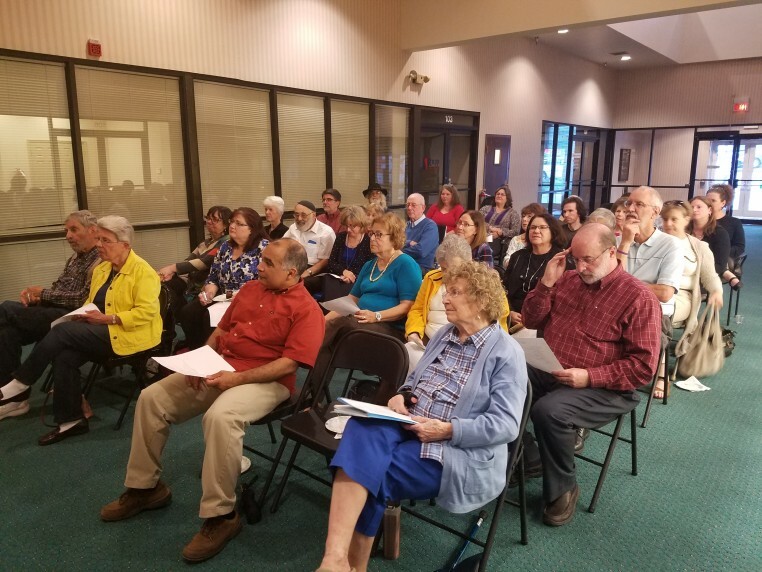 Each year, we hold our Annual Meeting as an opportunity to inform the community about JFB's accomplishments and challenges, elect new members of the Board, and acknowledge outstanding community members for their service to Jewish Lexington.